Wharton Leadership Consulting partners with select consultants providing breakthrough experiences that expand the capacity, professionalism, and impact of individuals and teams. Amy Tirion creates culture change and mindfulness programs for leaders and teams that focus on the intellect, energy, and emotion of personal change. Amy is a certified mindfulness consultant with Potential Project, the global leader in corporate-based mindfulness. She had led her own workshops for the last six years and is MBSR trained (Mindfulness Based Stress Reduction). Her most recent clients include Cisco Systems Inc., Accenture, Stanford University Healthcare Alliance, and Kaiser Permanente. Formally, as a change management consultant with Accenture, her ten-year career included leading culture change initiatives across their Bay Area offices. Amy provides interactive and introspective keynotes that guide participants to define their own path for more meaning, flow, and renewal in their personal and professional lives. ​Successful organizations understand that human performance has a direct influence on business performance. Marcia Wharton has delighted and taught audiences about correct business protocol and meaningful business relationships through her programs on raising one's level of professionalism. 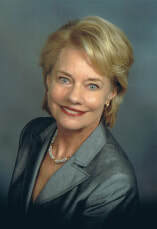 She is a consultant, speaker, author, and was featured in her own PBS series. Living abroad as the daughter of a diplomat, Marcia learned the nuances of international protocol at an early age. Marcia educates and inspires her audiences to reach new levels of executive presence, polish, and confidence. She teaches her audiences effective and polished ways to work with each other, to influence their prospects and to strengthen their business and client relationships.